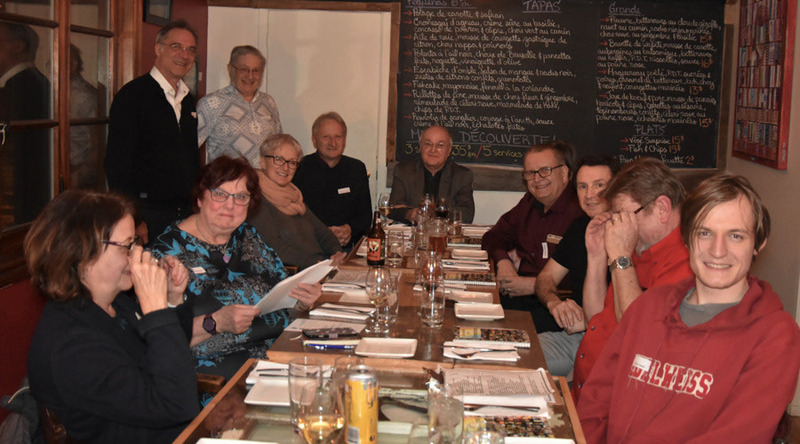 The Association humaniste du Québec (AHQ) launched a local branch for humanists from Gatineau, November 29, at the Antonyme restaurant, 150 rue Principale. The evening’s French-language dinner conference focused on the theme of freedom of conscience. Canada’s non-profit Humanist Association was founded in 2005 with the aim of offering a secular voice in society, a voice for atheists and agnostics. The association’s head office in Montreal last year saw the need for a branch in the Outaouais. The movement is pan-Canadian and is affiliated with the International Humanist and Ethical Union (IHEU). IHEU has representatives in New York and Geneva. The group organizes social, cultural and philosophical activities designed to promote critical thinking on social and personal issues proposed by its members. The guiding principle of a humanist is “... to put humanity first, before gods, dogmas and ideologies”. By stressing the need for critical thinking, it is possible “to protect oneself from intellectual manipulation by religious movements of all kinds”. The AHQ brings debates to the public arena “in a rational way”. The AHQ says it will not hesitate to intervene in any debates on secularism in Quebec. This was the case when the minority PQ government proposed its infamous “charter of values”. The AHQ supports the abolition of prayers in public institutions, and promotes ending the religious component of Quebec schools’ Ethics and Religious Culture course. On personal matters, for example, humanists want an end to the “anti-humanist” discrimination that restricts marriage ceremonies to institutional religions only.